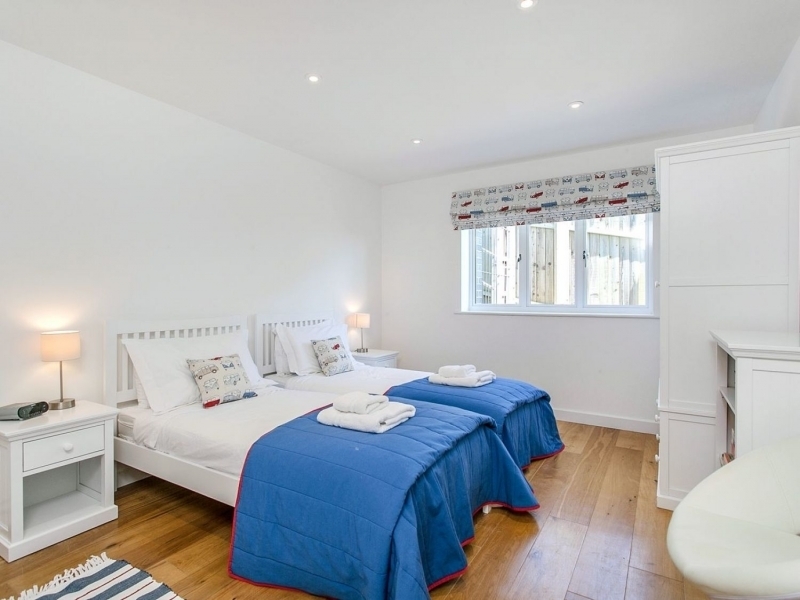 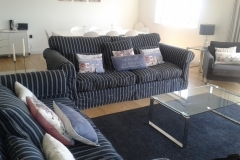 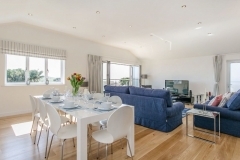 “Curlew” is a beautiful holiday cottage with 4 bedrooms. 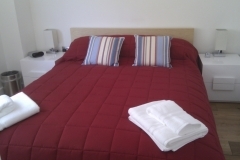 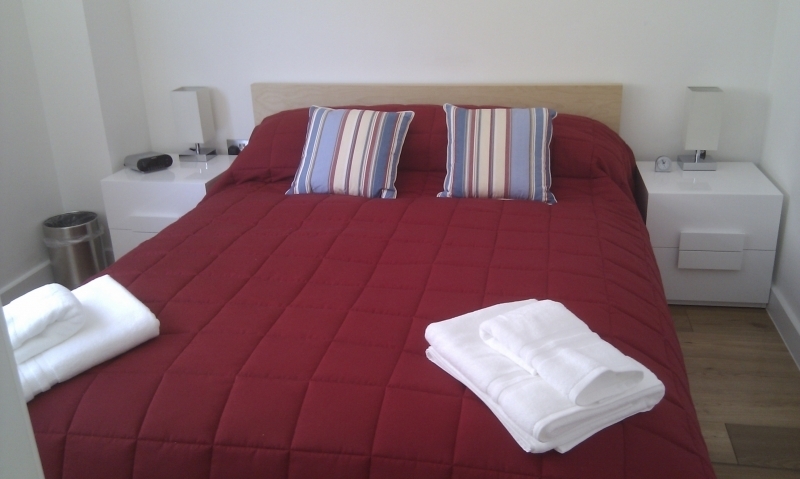 The self-catering accommodation is the perfect option for a group of friends on holiday or a family vacation. 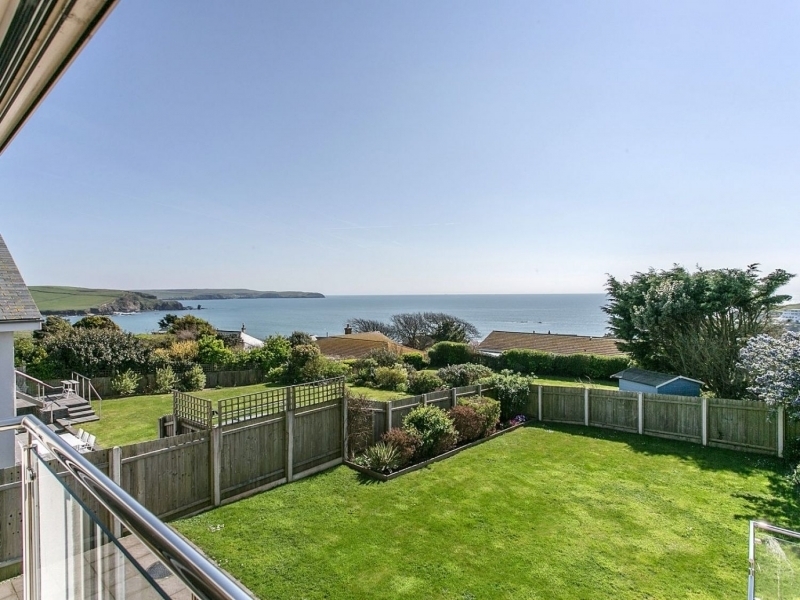 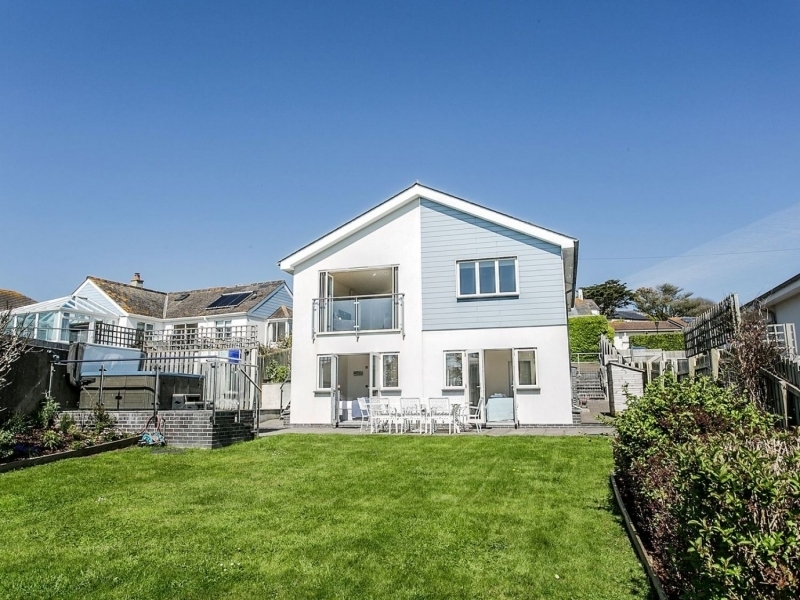 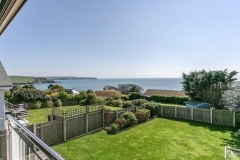 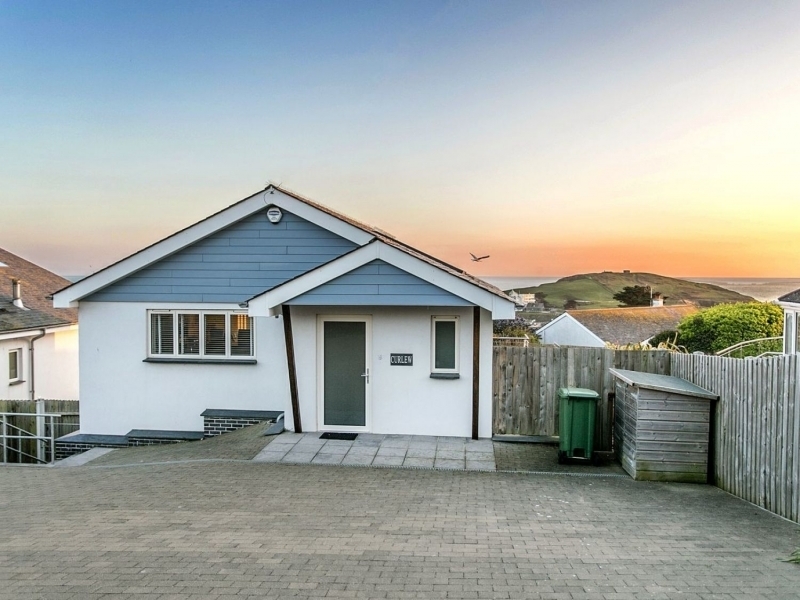 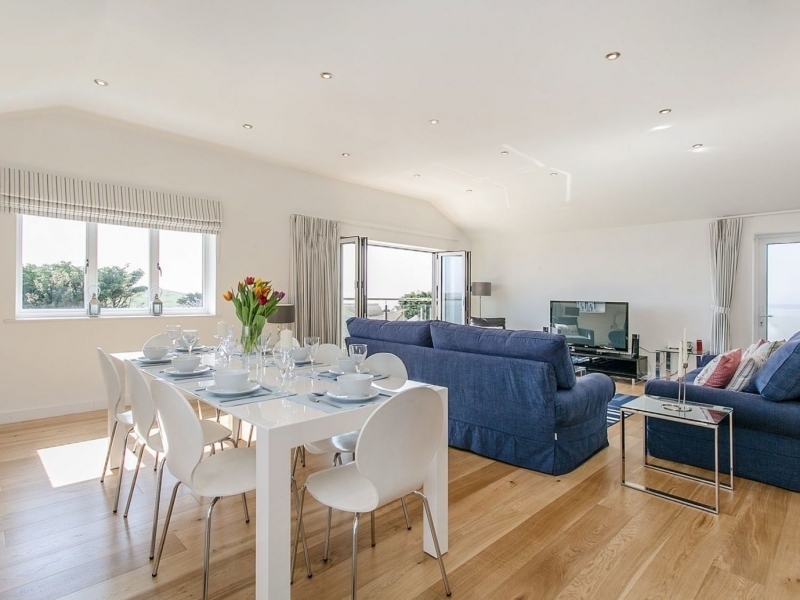 With sensational sea views , 200 yards up from the huge sandy beach in Bigbury-on-Sea, a fabulous contemporary coastal home. 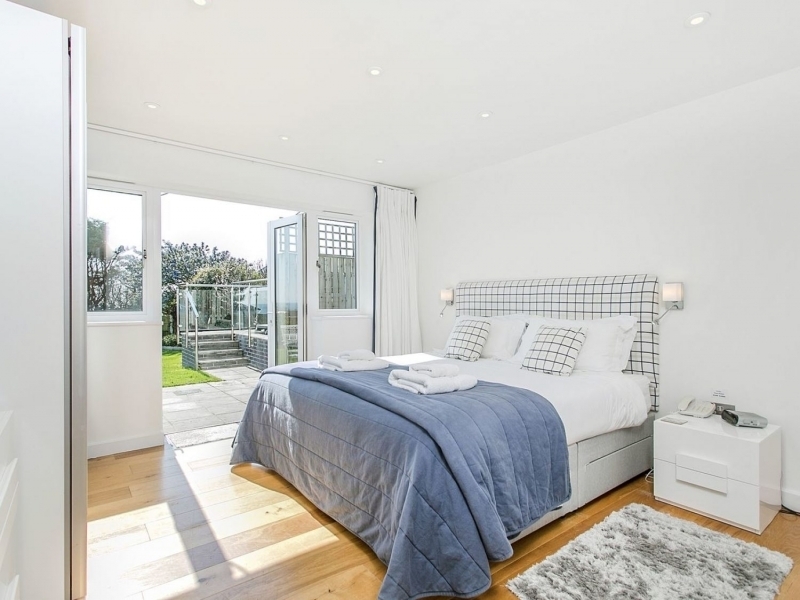 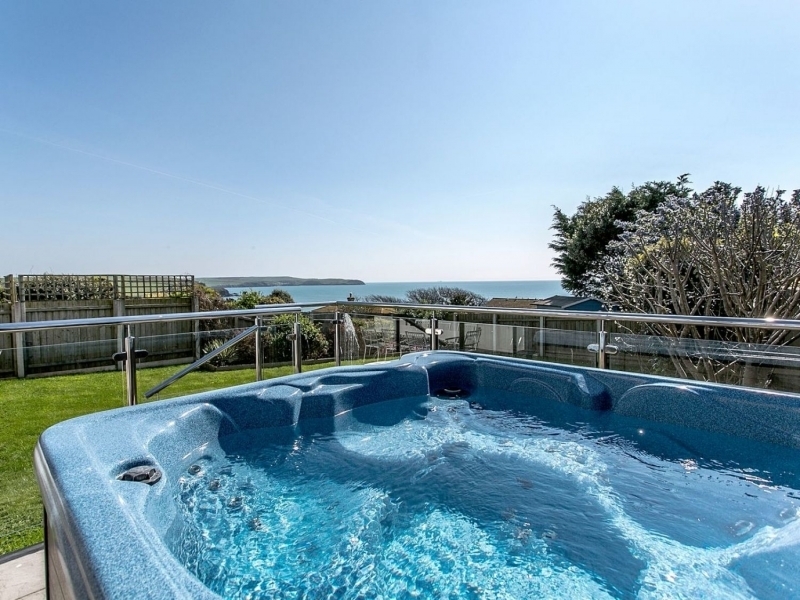 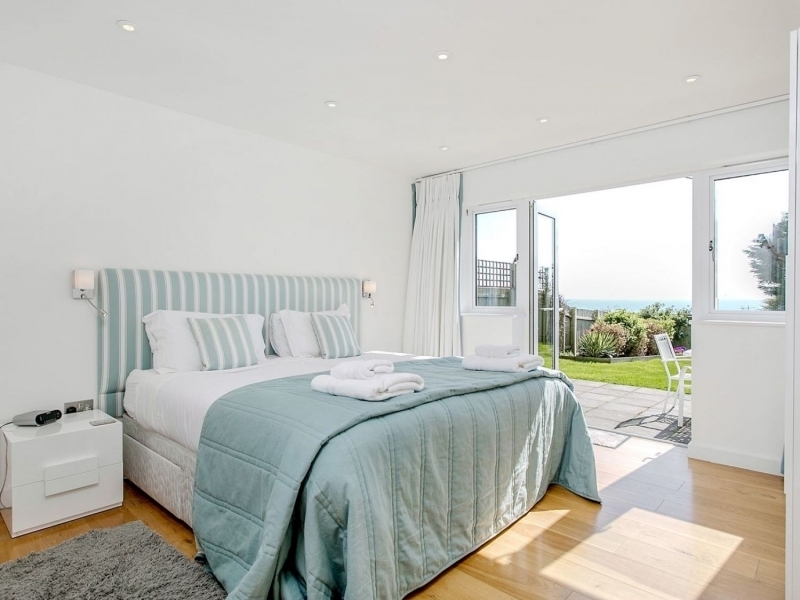 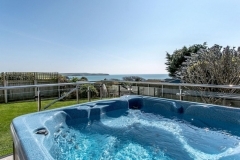 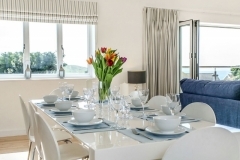 The cleverly designed split-level layout with floor-to-ceiling windows and enclosed garden with lawn, suntrap paved terrace and 6-person Hot Tub makes the most of its superb south-facing position and panoramic outlook over the bay to Burgh Island and beyond. 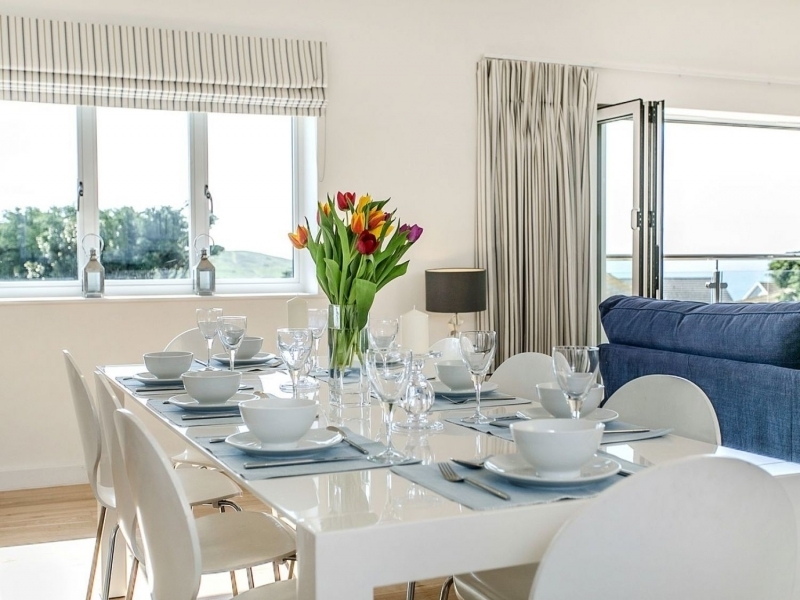 Inside, light-filled and spacious, fun fabrics with splashes of vibrant seaside colours, oak or tiled floors (rugs) throughout. 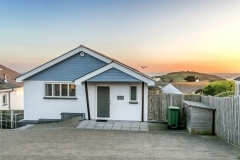 Large paved forecourt (high lockable gates to garden) with short slope down to front door to entrance hall and ground-floor loo with washbasin. 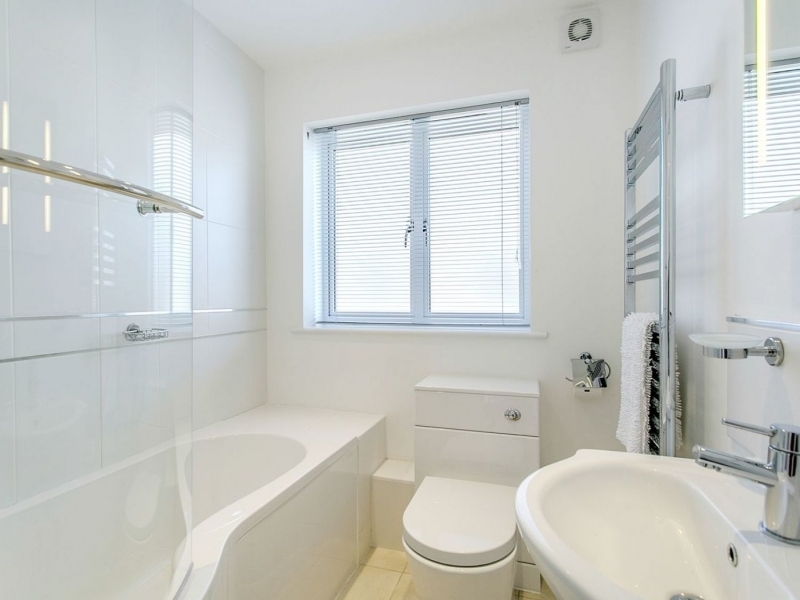 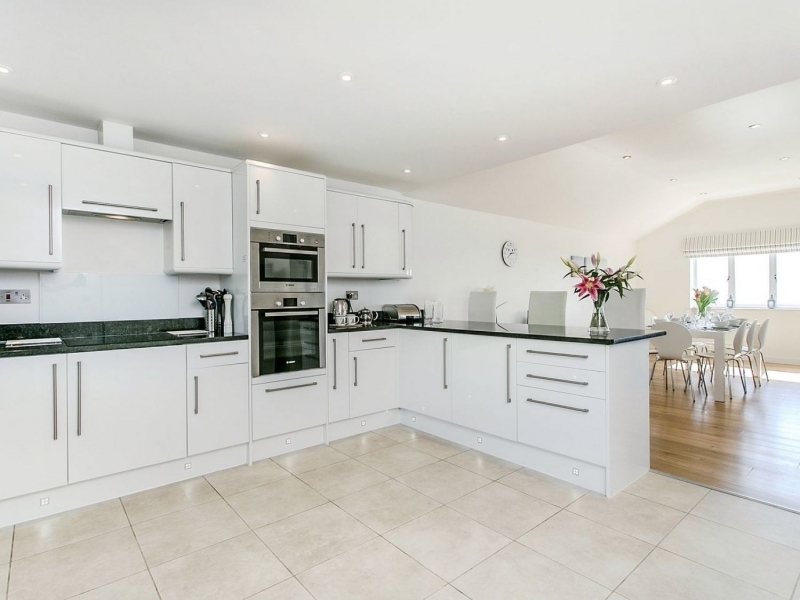 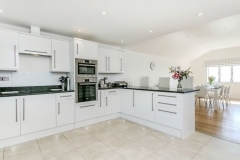 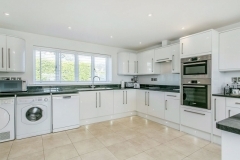 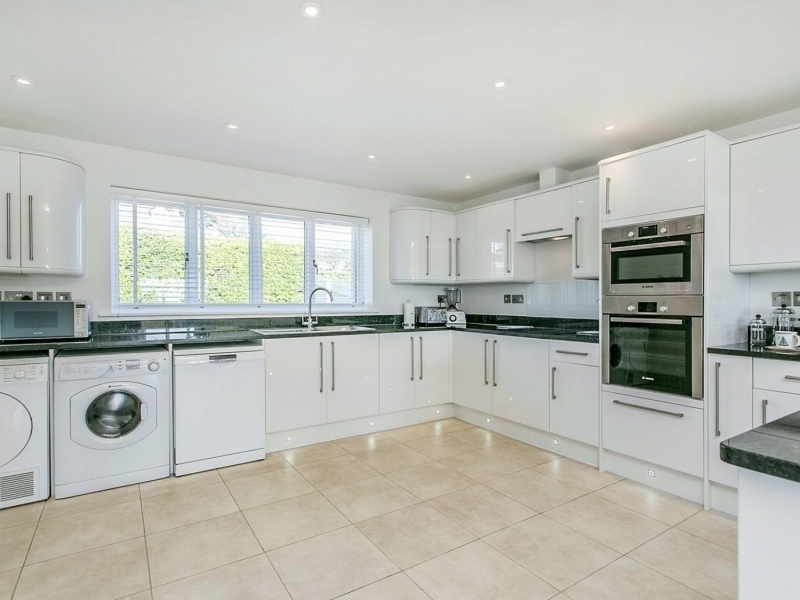 Magnificent, width-of-house open-plan living/dining/kitchen (dishwasher, washing machine, tumble drier, microwave, fridge-freezer, iPod dock), granite worktops and breakfast bar with 3 stools. 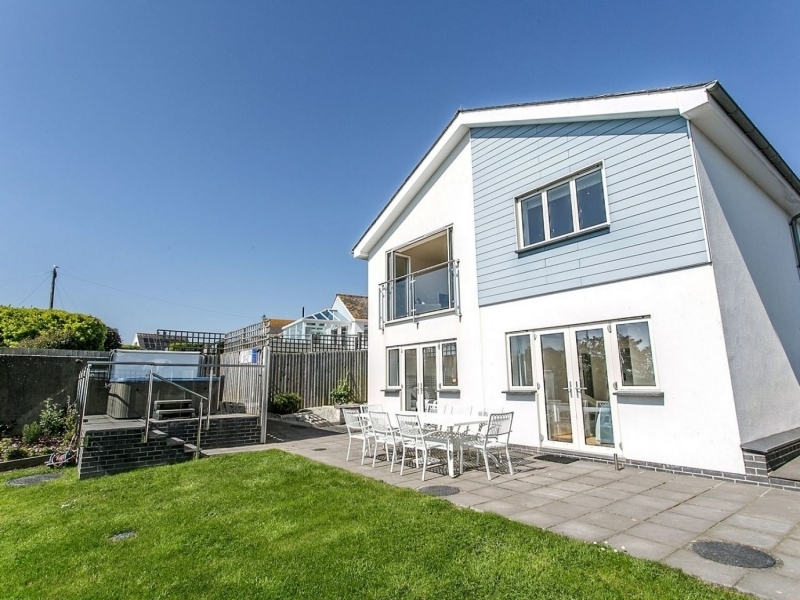 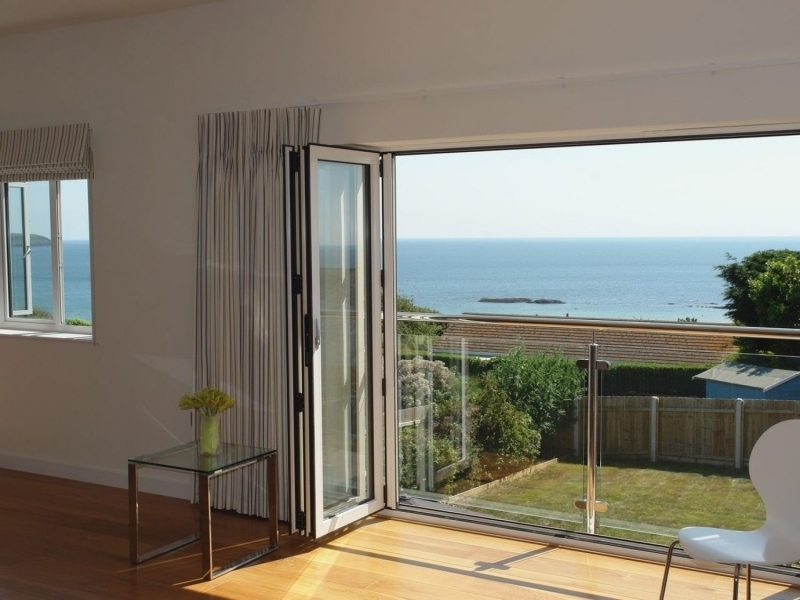 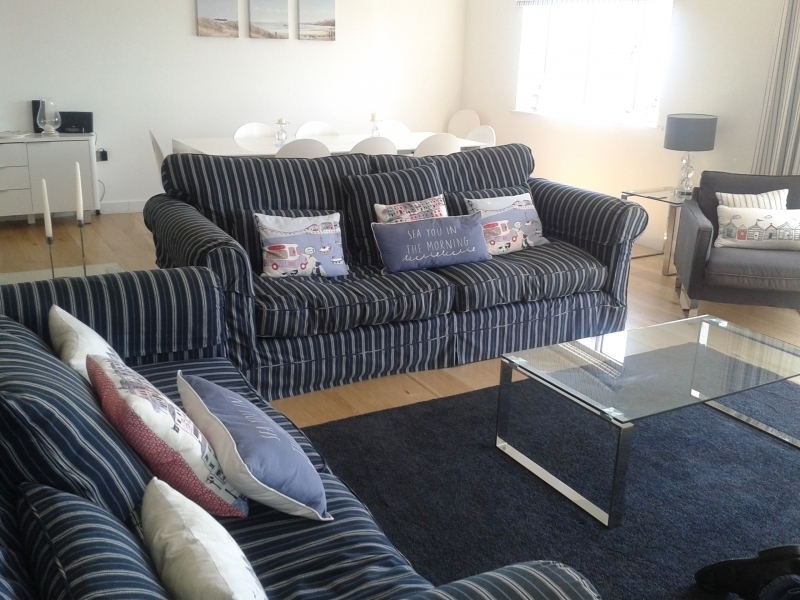 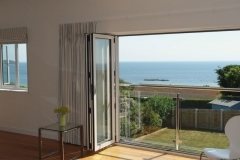 Lounge with big comfy sofas (TV/DVD/Blu-ray/PVR), long dining table and ceiling-high, glazed bi-fold doors to balustrade perfectly positioned to take in those breathtaking sea views; side door to steps down to garden (table/chairs to seat 8, barbecue) and Hot Tub. 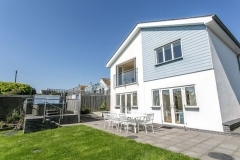 Oak stairs down to lower ground floor and four large bedrooms – facing the sea (views) with big glazed doors to the garden, a double (6’ bed, TV) and a stylish twin (zip-linkable to 6’ double, TV), each with en suite shower-room (suites); a further smart double, and a twin; family bathroom (suite plus bath-shower and hand-shower).